← Five Things You Didn’t Know You Needed to Know About Growing Tomatoes! 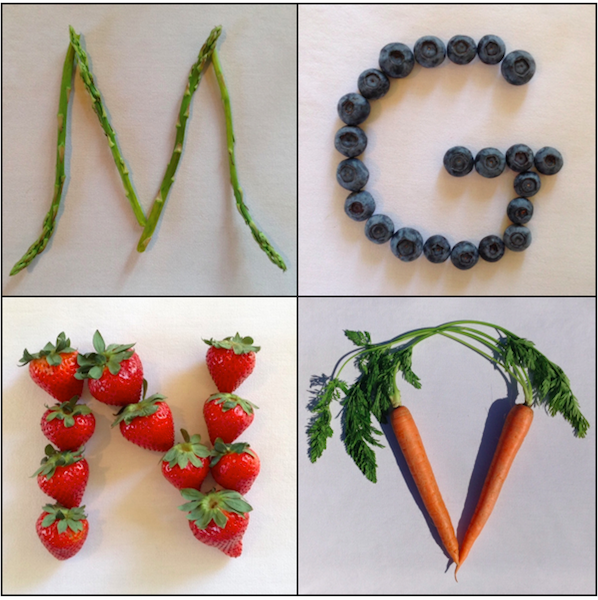 As the days become longer and warmer, we crave lighter foods, and especially fresh, seasonal produce. This quick-and-easy way to use asparagus will impress and delight anyone you serve it to, even if it’s just yourself. Trader Joe’s and Harris Teeter both sell one-pound bags of pizza dough, or of course you can make your own. Also, if your asparagus is too thin to shave (or you’re too short on time), just slice it into diagonal 1/2-inch pieces. If it is very thick, shave it into ribbons — they are so pretty, and cook quickly. You can also adjust the amount of cheese, or vary it with other kinds. 1. Preheat oven to 500 degrees, with racks in middle and lower thirds. On a lightly floured surface, roll dough into two 6-by-16-inch ovals and transfer to two parchment-lined rimmed baking sheets. Brush each with 1 tablespoon oil. In a medium bowl, toss potato with 2 teaspoons oil and season with salt and pepper. Arrange potatoes on dough, leaving a 1/4-inch border. Bake until edges of crusts are golden and potatoes are beginning to crisp around edges, about 12 minutes, rotating sheets halfway through. 2. Meanwhile, toss asparagus with 2 teaspoons oil and season with salt and pepper. 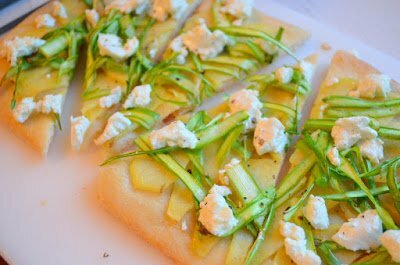 Reduce heat to 450 degrees, remove sheets from oven, and top flatbread with asparagus. Return sheets to oven and bake until asparagus is crisp-tender, 5 minutes. Top with cheese and bake until cheese is warmed through, 3 minutes. Drizzle each flatbread with 1 teaspoon oil, then cut into wedges to serve. This entry was posted in Recipes and tagged aspargus, gardening, recipe. Bookmark the permalink.